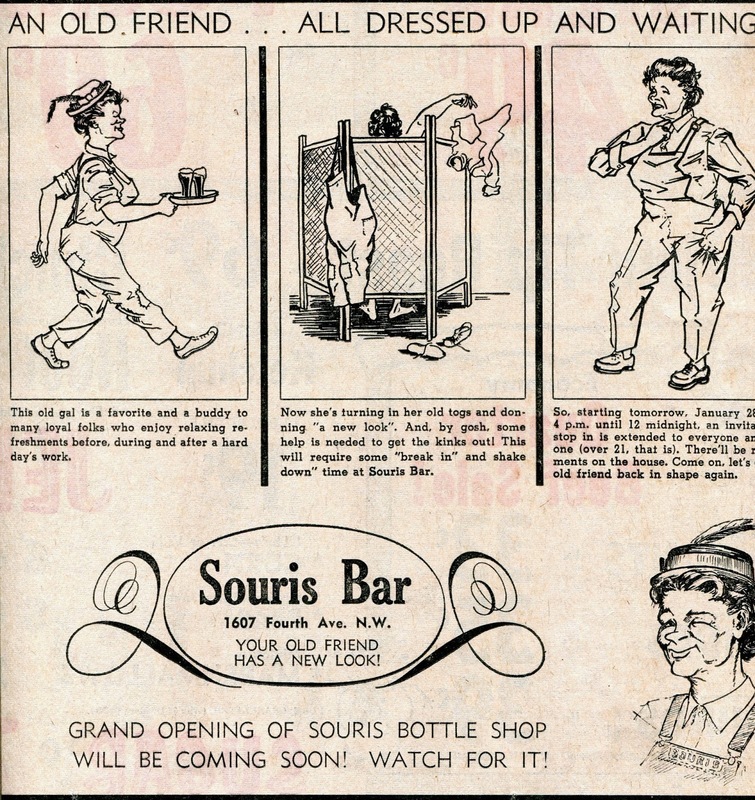 Souris Bar – 1965 Located at 1607 Fourth Ave. NW … The Souris Bar claimed “Your Old Friend Has A New Look” …. Apparently the bar was remodeled (and possibly renamed).. It was an old favorite and a buddy to many loyal folks who enjoy relaxing refreshments before, during and after a hard day’s work… The Souris Bottle Shop was to open soon. Collins – Russell Mortuary – Owned by Harlan Russell and Chester Collins, it was located in Green Valley o Souris Drive, directly south of the Fairgrounds. The location was a church prior to the 2011 flood and may still be a church.